The Swiss Financial Market Supervisory Authority (FINMA) supervises insurance and reinsurance undertakings, insurance intermediaries and groups as well as other financial institutions (eg, banks, stock exchanges, securities dealers and collective investment schemes). Insurance and reinsurance operations are regulated on the federal level. The Swiss Federal Financial Market Supervision Act 2007 as amended (FINMASA) sets out supervision principles and instruments of FINMA in respect of all financial markets. The Swiss Federal Insurance Supervision Act 2004 as amended (ISA) and the Swiss Federal Insurance Supervision Ordinance 2005 as amended (ISO) contain the rules and regulations for insurance and reinsurance undertakings. Social insurance schemes (such as for mandatory disability, unemployment or health and accident insurance) are subject to the supervision of the Swiss Federal Office of Social Insurance or the Swiss Federal Office of Public Health, respectively. Occupational pension funds are mainly subject to supervision by the cantons, although there is also a federal supervisory body. business rationale, material shareholders, insurance classes and products. Applications may be filed with FINMA in draft form. FINMA customarily decides on an application within three months of receipt of the complete application documents, although the process may be substantially longer depending on the complexity and quality of the initial draft application. Before or during the licence application process, the company is formed and entered into the commercial register. For regulatory purposes, the company must have the legal form of a corporation or cooperative. The predominant legal form is the corporation. The founders may determine the specific location within Switzerland based on the local business and tax environment. A company is regularly established with the corporate law minimum share capital of 100,000 Swiss francs and funded up to the relevant regulatory minimum share capital (see question 5) by means of a capital increase immediately before the licence grant. Insurers whose domicile is abroad must obtain a licence from FINMA in respect of insurance activities conducted in or from Switzerland (subject to differing provisions in international treaties, and currently the case only with Liechtenstein). An insurance activity is deemed to be conducted in Switzerland if one of the policyholders or insured persons or the insured risk is located in Switzerland. A FINMA licence is not required for mere reinsurance activities conducted in Switzerland by companies domiciled abroad, or for insurance of marine, air transportation, international transports and war risks as well as risks located abroad. In order to obtain the licence, foreign insurers must set up a branch in Switzerland, designate a branch head, demonstrate that they are duly licensed and adequately capitalised in their home jurisdiction, have an adequate organisational fund in Switzerland and deposit with the Swiss National Bank collateral generally of 10 per cent of the required solvency margin. Since Switzerland is not part of the EU or EEA, companies with their domicile in any EU or EEA member state may not conduct business cross-border or through a branch office on the basis of the EU passport principle and home state regulator regime. Once FINMA has licensed a company to conduct insurance or reinsurance business (see question 2), no further licences, authorisations or qualifications are required as long as the business is carried out in line with the business plan. Amendments to the business plan are subject to FINMA approval. are not a shareholder of the insurance company and do not represent any shareholder. FINMA may approve exceptions from foregoing criteria, provided there is good reason to do so (eg, for reinsurance captives or subsidiaries of insurance groups and conglomerates supervised by FINMA). Insurance companies within supervisory categories 2 and 3 (very important, complex, high-risk or large and complex, significant-risk) must establish an audit and a risk committee. The chair of the board of directors may not be a member of the audit committee or the chair of the risk committee. The foregoing rules must be implemented by 31 December 2019. The minimum share capital is set by FINMA generally within a range of 5 million to 12 million Swiss francs for life insurers, 3 million to 8 million Swiss francs for non-life insurers and 3 million to 10 million Swiss francs for third-party reinsurers. In addition to the minimum share capital requirement, insurers and reinsurers must have sufficient free and unencumbered capital resources in relation to their activities (solvency margin). the Swiss Solvency Test: based on an economic balance sheet and a market-consistent valuation of assets and liabilities, the required capital resources are determined in relation to the insurance, market and credit risks (as well as operational risks) to which an insurer or reinsurer is exposed (target capital) and the eligible capital (risk-bearing capital). Insurers and reinsurers must also have an organisational fund reserved for financing the setting up and any material expansion of business operations. The organisational fund is 20 per cent of the minimum share capital, unless FINMA determines otherwise. Insurers and reinsurers must establish adequate technical reserves to cover their entire insurance activities. Technical reserves are established based on actuarial methods, and the accountable actuary is responsible for ensuring their adequacy. In general, insurance technical reserves consist of reserves to cover expected liabilities under written insurance contracts; and claims equalisation reserves to account for uncertainties inherent in actuarial projection methods, random fluctuations in insurance losses and claims expenses, and changes in the general environment that may cause the actual claims to materially deviate from the actuarial estimate. From an equity perspective, Swiss regulation provides that insurers and reinsurers must allocate at least 20 per cent of their annual net profits (10 per cent for life insurers) to the general reserve until this reserve amounts to 50 per cent of the total paid-in nominal share capital. The lower corporate law thresholds do not apply. This requirement limits the ability of insurers and reinsurers to distribute dividends. Swiss insurance and reinsurance regulation sets rules at the company level and does not provide for a systematic and preventive control of insurance products (contract terms and rates), except for products offered in Switzerland in connection with occupational pension plans, supplementary insurance to social health insurance and insurance of damages caused by natural hazards. The contractual relationships between insurers and policyholders in Switzerland are governed by the Swiss Federal Insurance Contract Act 1908 as amended (ICA) and, supplementary to it, by the Swiss Code of Obligations 1911 as amended (SCO) and the Swiss Civil Code 1907 as amended. The freedom of contract is the governing principle, which is limited by a moderate number of mandatory provisions of the ICA, namely provisions that may not be modified by insurers at all or not to the disadvantage of policyholders or insured persons. FINMA is under a duty to intervene against improper market conduct such as the use of contract terms that violate mandatory provisions of the ICA or other applicable laws, or that provide for an allocation of rights and obligations that is significantly contrary to the nature of the contract, provided that such improper market conduct occurs repeatedly or may affect a large number of persons, or if a substantial unequal treatment of policyholders is not justifiable by legal or insurance technical reasons. The creation and use by the insurance industry of common claims expenditure statistics and common insurance contract terms (eg, the standard policy terms of the Swiss Insurance Association) are subject to the rules and restrictions of Swiss competition law. The Swiss Federal Competition Commission has indicated that its practice is closely aligned with the block exemption regulations of the European Union. Insurance companies must currently comply with quarterly financial reporting obligations to FINMA (this has been as short as one month during the financial crisis) as well as a number of yearly reporting obligations. The yearly reporting obligations include but may not be limited to the annual report, annual financial statements, annual supervisory report and annual reports on Solvency I (if at all applicable; see question 5), on the Swiss Solvency Test, on tied assets, on the activities of the insurance company relating to financial derivatives and on own risk and solvency. FINMA has discretion to decide on shorter reporting cycles for the annual reports or to add additional reporting obligations. Furthermore, insurance companies must prepare an annual report on their overall financial situation and solvency that must be made publicly available. Insurance companies must have an insurance regulatory auditor that conducts an annual insurance regulatory audit and submits a report to FINMA on such audit. The insurance regulatory auditor also has additional ad hoc reporting obligations to FINMA for certain critical findings. FINMA may conduct on-site examinations itself, or determine that such examinations are to be conducted by the insurance regulatory auditor. In recent years, FINMA has started increasingly to conduct on-site examinations itself. 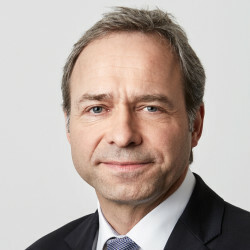 Swiss law does not contain any overall rules for allowed or disallowed kinds and amounts of investments that insurance and reinsurance companies may make (contrary to the Swiss regulatory regime for pension funds), beyond the general solvency supervision requirement that asset management by insurance and reinsurance companies must be in line with generally recognised best market practices. However, detailed provisions and rules exist on the type and amounts of assets that the insurance company may assign to its tied assets, as well as on how such tied assets must be managed (not applicable to reinsurance companies as they do not have tied assets). In general, tied assets must be chosen primarily on the basis of security, the financial situation of the insurance company and the predicted development of the insurance portfolio, whereby a fair market return and appropriate diversification must be sought, while ensuring the foreseeable liquidity requirements at all times (in particular, also in various adverse scenarios for which the insurance company must conduct appropriate stress tests). Additional specific requirements and restrictions apply to all listed categories pursuant to Swiss law and FINMA practice. In particular, the allocation of financial derivatives by insurance companies to its tied assets is especially limited. Swiss law provides that whoever intends to acquire a direct or indirect participation in an insurer or a reinsurer with its domicile in Switzerland must notify FINMA thereof if the thresholds of 10, 20, 33 or 50 per cent of the capital or voting rights will be reached or exceeded by such an acquisition. FINMA may prohibit acquisitions or impose conditions if the nature and scope of the participation could endanger the insurance undertaking or the interests of the insured persons. Therefore, acquirers of a material participation must substantiate that they have sufficient resources to finance the transaction and are able to ensure sound and proper management of the insurer or reinsurer. The members of the board of directors and executive management must pass a fit-and-proper test (see also question 4). Notification to FINMA is made after signing. Approval or a statement of non-objection by FINMA is customarily a condition precedent to the closing of the sales transaction. FINMA decides within four to eight weeks following receipt of the complete notification documents (however, no statutory time limit applies). Similar notification duties apply to any person that intends to reduce its participation in an insurer or reinsurer with its domicile in Switzerland if such a participation falls below any of the thresholds set out above, and any insurer or reinsurer with its domicile in Switzerland that intends to acquire or sell a participation in any other undertaking and thereby passes any of the thresholds set out above. In addition, the insurer or reinsurer must report to FINMA any material change in their shareholder base as a business plan change. There are no specific requirements regarding financing of the acquisition of an insurer or reinsurer. There are no specific requirements regarding investors acquiring a minority interest in an insurance or reinsurance company, if such minority does not exceed 10 per cent of share capital or share votes (in which case, the answer to question 10 applies). There are no specific insurance regulatory restrictions for foreign, natural or legal persons to acquire an equity participation in an insurer or reinsurer located in Switzerland. they form an economic unit or are otherwise connected with each other (ie, through influence or control). FINMA may impose consolidated supervision (but has no obligation to do so) on an insurance group or conglomerate if a Swiss company is part of such an insurance group or conglomerate, and if it is factually managed from Switzerland or if it is managed from abroad but is not subject to comparable group supervision abroad. If FINMA, as well as a foreign regulator, both claim total or partial supervisory jurisdiction, FINMA will attempt to find an agreement with the foreign regulator and will consult with the involved Swiss company before taking its decision. In practice, FINMA is most interested in supervision of large groups that have a complex structure. The consolidated supervision by FINMA is supplementary to the individual company supervision. All companies that form part of the supervised group must comply with information requests by FINMA. Supervised insurance groups must provide FINMA with information on their organisation, reporting and management structures at a group level, and FINMA determines one group company to be its counterpart for all regulatory requirements and requests. FINMA must be informed in advance of all important group internal events (‘important internal events’ are all those events that involve loans, guarantees, changes to capital, reinsurance transactions, cost-sharing agreements or other risk transfer instruments that significantly impact the financial situation of the group or group companies) and a consolidated report of all important internal events must be prepared every year. FINMA must also be informed in advance of any intended acquisition or sale of a significant participation by any group company. Furthermore, the supervised group must provide FINMA with a report on group-wide risk concentrations and management as well as the results of the group-wide own risk and solvency assessment and on the group-wide Swiss Solvency Test. All these obligations also apply to insurance conglomerates. Insurance groups and insurance conglomerates are required to meet their required solvency margin on the basis of a group-wide Swiss Solvency Test, which must be based on consolidated group figures. With approval by FINMA, a granular group-wide Swiss Solvency Test may be used as an alternative. As part of the business plan that must be filed with FINMA for an insurance licence, an applicant must inform FINMA of the organisation and the regional scope of business of both the applicant itself and the reinsurance group or conglomerate to which the applicant belongs. The insurance licence can be conditional on the existence of an appropriate group supervision by a foreign supervisory authority. The principle of freedom of contract prevails in reinsurance. In general, the terms of reinsurance contracts are valid as long as they are not unlawful or against public policy in the sense of the SCO. Most importantly, the rules and restrictions of the ICA do not apply to reinsurance contracts. Swiss insurance regulation does not per se limit the amount of insurance risks that insurers may cede to reinsurers. that life insurers are partially exempt from the gross accounting principle and entitled to reduce their technical reserves after ceding risks to reinsurers. There are no specific regulatory collateral requirements for reinsurers in reinsurance transactions. If, however, a reinsurance claim is secured by collateral or another security, cedents may, subject to FINMA’s approval, be in a position to either procure reinsurance coverage from unrated reinsurers or allocate a larger portion of the reinsurance claim to their tied assets (see question 16). Swiss law does not limit the creditability of reinsurance for insurance companies on their financial statements overall. However, certain limitations apply for the recognition and process of crediting reinsurance to tied assets (see question 16). Separately, any reinsurance or retrocession of risks is fully credited to the target capital under the Swiss Solvency Test within the scope of the actual quantifiable risk transfer. The risk of default of the reinsurance provider is reflected in the calculation of the target capital. insurance claims set out in the books of the insurer or reinsurer are deemed to have been submitted in the bankruptcy proceedings. order the extension of payment terms and adjournment of due dates in the event of financial distress. The insolvency of an insurance or reinsurance company licensed by FINMA is subject to a separate and specific insolvency procedure managed directly by FINMA pursuant to the IBO, with additional specific rules for foreign insurance companies in Switzerland. FINMA has substantial discretion to deviate from the applicable general Swiss law rules in the insolvency proceedings of an insurance company. In short, general Swiss law on insolvency foresees that the claims of secured creditors are satisfied out of the net proceeds from the realisation of the collateral, whereas for unsecured creditors, Swiss law distinguishes three classes of creditors that are satisfied in order of priority, with the class next in priority only receiving the remaining surplus after satisfaction of all claims of the prior class. Additionally, certain specific rules apply regarding priority of claims. In the insolvency of an insurance company, the costs of the insolvency proceeding itself are satisfied first, followed by the claims of policyholders that result from the books of the insurance company to the extent they are covered by the proceeds of the liquidation of tied assets (not applicable to insolvency of a reinsurance company because it does not have tied assets). Any surplus falls into the general bankruptcy estate, and any shortfall is allocated to one of the three general creditor classes. This mechanism does not automatically apply to life insurance policies that are secured by tied assets, for which FINMA may decide on a separate procedure. Insurance intermediaries are persons offering or concluding insurance contracts on behalf of insurance undertakings or other persons. A registration duty applies to insurance brokers, defined as insurance intermediaries that are independent from any insurance undertaking in the legal sense (eg, that do not have an exclusive distribution agreement) and in the economic sense (eg, that do not achieve the majority of commissions from one or two insurance undertakings in any calendar year). Insurance agents (tied insurance intermediaries) are entitled but not obliged to register themselves. The register is public and accessible online. A registration requires sufficient professional qualifications of the insurance intermediary or, if the insurance intermediary is a legal entity, its personnel, and professional indemnity insurance that covers damages of up to at least 2 million Swiss francs per year or equivalent financial security. For natural persons, registration also requires the provision of an extract from the criminal register that must not contain entries involving activities incompatible with the business of an insurance intermediary, and an extract from the debt enforcement register that must not contain references to outstanding certificates of unpaid debts whose underlying claim is incompatible with the business of an insurance intermediary. Insurance intermediaries are required to inform prospects of their identity, their ties to insurers and the processing of personal data. They may not engage in any intermediary activities in Switzerland for the benefit of insurance undertakings that are subject to a licensing requirement (see question 2) but have not been granted a licence from FINMA. nuclear energy liability insurance (article 19 of the Swiss Federal Nuclear Energy Liability Act 2003). On occurrence of the insured event, rightful claimants (eg, policyholders or insured persons) must notify insurers of the insured event as soon as they become aware of the event and their insurance claim. Notification must be made in writing if the insurance policy so provides. without any attributable fault, the notice can be made to the insurer immediately on removal of the hindering circumstances without loss of coverage. Punitive damages are not available under Swiss law. Except in very exceptional circumstances, an insurer wrongfully denying cover does not run a risk of being held liable based on statutory law. If a court finds that the cover was wrongfully denied, the insurer has to settle the claim, including any damages caused by the delayed settlement as well as the rightful claimant’s legal expenses. the insured person must assign the necessary authority to the legal representative determined by the insurer if legal proceedings are instigated, and refrain from acknowledging a claim without the prior consent of the insurer or from raising actions that contravene the provisions of the policy. The insurer must settle a claim if it has finally established the occurrence of an insured event and the amount of the respective damage. Indemnification payments will not become due and payable as long as the policyholder has not provided all information reasonably requested by the insurer regarding the event and necessary to assess the claim. If the insurer has been provided with all relevant information, the indemnification payments will become due and payable four weeks thereafter (even if the insurer has not made its final assessment by that date). If the policyholder provides all relevant information to a single part of an insurance claim, such a part will become due within the same time period. In the event of an acknowledgement of the claim by the insurer, the insurance claim becomes immediately due and payable. A contractual clause that provides that an insurance claim becomes due only after being acknowledged by the insurer or upheld by a court decision is null and void. There is no incontestability period under the ICA. The insurer may in general contest coverage based on misrepresentation in the application at any time (subject to the rules set out below). If the policyholder omits to notify or incorrectly notifies the insurer of a significant risk factor that he or she knew or should have known about which he or she was questioned in writing, then the insurer is entitled to terminate the insurance policy. The termination right expires four weeks after the insurer has obtained knowledge of the breach of the notification duty. If the insurer terminates the contract, its obligation to indemnify the policyholder for damages ceases (and the insurer may rightfully contest coverage and claim back payments made) if and to the extent that the omitted or incorrect notification of the significant risk factor has influenced the occurrence or extent of the damage. If a life insurance policy that may be surrendered terminates, the insurer must provide to the insured person the benefits due in the event of surrender. Punitive damages are not available under Swiss law. Further, Swiss courts may be precluded from awarding punitive damages even if the applicable foreign substantive law provides for those damages owing to Swiss public policy or if in connection with product liability according to article 135 of the Swiss Federal International Private Law Act 1987 as amended (IPLA). Swiss statutory law does not provide for any ‘drop down’ of insurance coverage of an excess insurer if the primary insurer is insolvent or its coverage is otherwise unavailable without full exhaustion of primary limits. Unless otherwise agreed in the policy, the excess insurer is liable towards the policyholder only for its own share and entitled to provide for its own defence, regardless of the primary insurer’s insolvency. Swiss law does not regulate retainer amounts or deductibles. Deductibles are commonly agreed in Switzerland. Insurance policies customarily contain the right of insurers to pay out the full indemnification amount directly to injured persons, and to request policyholders to reimburse without objection any deductible not applied. Insurers ultimately bear the risks that policyholders become insolvent and thus are unable to repay the deductible. Self-insured retentions are not customary in Switzerland. There is no general Swiss law rule as to the priority for payment for multiple claims under the same insurance policy. Pursuant to the Road Traffic Act, if the policyholder caused damage to several persons, which in total exceeds the insured sum set out in the insurance policy, the claim of each injured person against the insurer is reduced proportionally, and the insurer or the initial claimant may cause the competent court to request other injured persons to raise their claims in the same court proceedings. Both cumulation (ie, the insured receives multiple payments based on multiple policies) and coordination (ie, the insured receives only one payment based on multiple policies) exist in Swiss law depending on the type of insurance policies triggered by a claim and the interaction with coverage of the same claim by other liable persons. For indemnity insurance, if a policyholder has obtained cover for the same risk from more than one insurer, and if the total cover exceeds the insurance value (double insurance), then the policyholder must notify this to each insurer in writing (and the insurer may deny coverage if he or she does not do so with the intention of obtaining an unlawful monetary advantage), and each insurer is liable only proportionally (individual cover divided by total cover) while being entitled to the entire agreed premium. Only if an insurer becomes insolvent are the other insurers liable for the insolvent insurer’s share proportionally to their insured sums, each to the extent of the insured sum. Furthermore, an indemnity insurer may also deny coverage in the case of double insurance in bad faith by the insured with the intent of obtaining an unlawful monetary advantage. Swiss law is silent on whether claims comparable to disgorgement or restitution under Swiss law (ie, claims that involve a repayment of profits gained in bad faith on the part of the insured party) are insurable. While loss of profit can be insured, the law is silent on whether this is also the case if such profits were made in bad faith. In general, gross negligence can be (and regularly is) insured, while intent can be insurable (but is insured only in very rare circumstances), but there is a risk under Swiss law that an insurance of intent or of claims caused in bad faith may be considered to be contrary to general principles of law or public policy, similar to the insurance of monetary fines, which is not permissible. Whether a single event resulting in multiple injuries or claims constitutes one or more occurrences under a policy is determined by courts based on an interpretation of the applicable insurance policy. Insurance policies under Swiss law regularly include wording to the effect that a single event resulting in multiple claims constitutes only one occurrence under the policy. An insurer may withdraw from a contract if the insured has made misstatements at the conclusion of the insurance contract. This is the case if the insured has miscommunicated or withheld a significant risk. The insurer has a right of rescission even when the insured is not at fault for the misstatement. The insurer must give notice of rescission within four weeks after he or she has received knowledge of the misstatement. In principle, this is possible without adhering to a specific form. It is common practice to agree on arbitration clauses in reinsurance contracts. Arbitral tribunals continue to be the most suitable means for differences that cannot be resolved amicably because of the important role that custom (long-standing market practice) plays in the reinsurance industry, the parties’ common interest in confidentiality and the worldwide enforceability of arbitration awards pursuant to the Convention on the Recognition and Enforcement of Foreign Arbitral Awards 1958 as amended. The arbitral award must be made by the arbitral tribunal in accordance with the rules of procedure and in the form agreed on by the parties. The award must be in writing, reasoned, dated and signed (at least by the chair of the arbitral tribunal) (article 189 of the IPLA). The reasoning requirement may be waived by the parties (eg, for reasons of cost efficiency). However, the award typically includes the reasoning owing to the fact that the arbitrators’ written considerations on the merits are an important element for the parties to appeal against an award (see question 40). Arbitrators do not have any direct jurisdiction over non-parties; however, they can request the support of courts in taking evidence. Courts, in turn, can make use of their powers and assist the arbitral tribunal, for example, by compelling non-parties to provide testimony or to produce documents (article 184 of the IPLA). In view of the limited number of grounds on which an award may be sought to be set aside, this remedy is not a further appeal. In particular, findings of fact are never reviewed. The parties may exclude all setting-aside proceedings (or limit such proceedings to one or several grounds set out in article 190, paragraph 2 of the IPLA) by an express statement in the arbitration agreement or by a subsequent agreement in writing, provided that none of the parties has its domicile, habitual residence or place of business in Switzerland (article 192, paragraph 1 of the IPLA). The ICA is not applicable to reinsurance contracts. The general provisions of contract law set out in the SCO apply. Further, Swiss legal practice and doctrine provide that in absence of a contractual provision, a competent court will interpret reinsurance contracts based on generally recognised reinsurance custom and standards. In particular, the paramount principles of reinsurance (such as follow the fortunes, follow the settlement and the reinsurer’s right to inspect the cedent’s file) are considered to be implied in reinsurance contracts and applicable also in the absence of a specific clause relating thereto. As to the content of the reinsurance principles, no relevant specific Swiss customary practice exists, and a competent Swiss court also takes foreign legal doctrine and case law into account. In general, the reinsurer is obliged to share the fate of the underlying risks accepted by the cedent (follow the fortunes) and to accept as binding the decisions and measures taken by the cedent under its right to manage the reinsured business (follow the settlement); however, only to the extent that the claim falls within the scope of the reinsurance agreement and the cedent has managed the business in an orderly and prudent manner. The principle of utmost good faith is regarded as reinsurance custom in Switzerland. Utmost good faith is an accentuated version of the general principle of good faith (ie, that rights are exercised and obligations fulfilled in good faith (article 2, paragraph 1 of the Swiss Civil Code)). It is justified by the special relationship of trust between the parties to a reinsurance agreement and critical to determine the care and loyalty due in connection with, for example, the risk selection and claims management by the cedent. The same set of Swiss statutory law applies to facultative and treaty reinsurance. Differences between facultative and treaty reinsurance are, however, taken into account according to reinsurance custom (eg, the principle of utmost good faith seems to have more relevance in treaty reinsurance than in facultative reinsurance). There is no contractual or statutory basis for a direct claim of the policyholder against the reinsurer. The reinsurance agreement may allow policyholders to do so; this is usually referred to as a ‘cut-through’ clause. Policyholders have no direct claim against the reinsurer (see question 44) even if the direct insurer is insolvent or not able to provide coverage for other reasons. The insurer’s claim against the reinsurer to compensate for covered losses may form part of the tied assets of the insurer (see question 16). In the event that the insurer falls into bankruptcy, the tied assets are liquidated, and the proceeds are used to cover the rights and claims of the policyholders. Swiss law is silent on this matter. The nature and scope of the cedent’s obligation to notify the reinsurer of a loss event mainly depends on the terms of the reinsurance contract. In the absence of contractual provisions to the contrary, the notification must be provided in due course, while any delay does not necessarily lead to a loss of the cedent’s right to be compensated for covered losses. The allocation of claims and settlement payments of the reinsured depends on the terms of the reinsurance agreement. The equivalent to the cedent’s right to manage the insurance business is the reinsurer’s right to audit the cedent’s files in connection with any relevant claim. The reinsurer’s inspection right is a generally recognised reinsurance custom and applicable also in the absence of a specific clause relating thereto. The cedent is also obliged to give the reinsurer access to information on the management of the reinsured business based on Swiss contract law (article 394 et seq of the SCO). Swiss law is silent as to whether a reinsurer is obliged to follow the cedent’s settlement of reinsurance claims by way of commutation. The follow-the-settlement principle (see question 41) applies. The cedent is generally well advised to obtain the reinsurer’s consent before entering into commutation agreements. Swiss law is silent as to whether a reinsurer must reimburse a cedent for ECOs; this depends on the terms of the reinsurance agreement. FINMA revised its circular 2008/7 ‘Outsourcing - banks’ and extended its scope to insurers (circular 18/3 -‘Outsourcing - banks and insurers’). The revised circular, which entered into force on 1 April 2018, applies to insurers in relation to any new business plan filings immediately and, as regards existing business plans, as soon as an amendment is made thereto. Under the old regime, the specific requirements in relation to outsourcing arrangements of insurers were not governed on a circular level, but by FINMA’s explanatory notes to the business plan. An insurer’s business plan must, in accordance with the ISA, provide information on contracts or other arrangements by which essential functions are outsourced. This general rule (see also question 2) is not affected by the revised circular. The revised outsourcing circular applies only to outsourcings of material functions defined as any function with significant influence on compliance with the goals and requirements of the financial market laws. The new rules provide partial relief by allowing insurers to simultaneously outsource all three ‘core functions’ (production, policy administration and claims handling). On the other hand, the revised circular no longer contains general exemptions from certain requirements for intra-group outsourcings. The group affiliation between the outsourcer and the outsourcing service provider may be taken into account only if it is evidenced that the risks typically associated with such outsourcing do not exist, or that certain requirements are not relevant or otherwise regulated. This particular wording grants FINMA substantial discretion to take into account the individual circumstances at hand. The general requirements under the FINMA circular ‘Outsourcing - banks and insurers’ include the following: insurers must determine and document the requirements regarding service provision prior to the conclusion of an outsourcing contract; service providers must be selected based on their professional skills as well as financial and personal resources while taking into account potential concentration risks when outsourcing multiple functions to the same service provider; the service provider must guarantee continuous service provision and orderly remigration of outsourced functions; and outsourcings must be based on a written contract including certain minimum content. The insurer must integrate the outsourced function into its internal control system and systematically identify, monitor, quantify and control any material risks in relation to the outsourcing. The insurer must also retain contractual instruction and control rights to be able to continuously monitor and assess the service provider’s performance. Further, full and unrestricted inspection and control rights at any time must be granted to the outsourcing insurer, its auditors as well as FINMA. In case of security-relevant outsourcings (in particular in the field of IT), the insurer and the service provider must agree on security requirements in the outsourcing contract and the insurer is obligated to monitor compliance with such requirements. Outsourcings abroad are permitted if the insurer expressly assures that itself, its auditors and FINMA can exercise and enforce their inspection and control rights and if all information required for a financial reorganisation or liquidation is accessible in Switzerland at all times. In any case, the outsourcing insurer remains responsible for compliance with all applicable regulatory requirements as if it were going to perform the outsourced functions itself. Apart from minor revisions in 2006, the ICA essentially dates back to its inception in 1908. However, Swiss parliament decided in 2012/2013 not to deliberate on a bill proposed by the Federal Council regarding an overall revision of the ICA which inter alia aimed at improving the policyholders’ legal position in various respects. Instead, parliament mandated the Federal Council to prepare a bill for a partial revision of the ICA covering less controversial topics. The Federal Council published its draft for such partial revision (Draft ICA) and corresponding dispatch in June 2017. The Draft ICA covers various topics, among others revised insurers’ information and policyholders’ disclosure obligations, rules on preliminary cover and partial admission of retroactive cover, an extension of the statute of limitations for most claims based on insurance contracts from two to five years and, arguably most notably, the introduction of a more liberal regime for insurance contracts with ‘professional policyholders’ and policies covering certain ‘large risks’. Companies with professional risk management or surpassing certain thresholds regarding balance sheet total, net turnover and equity will qualify as ‘professional policyholders’. The ICA’s mandatory and semi-mandatory provisions (provisions that may not be amended to the detriment of the policyholder or insured) will not apply to policies with professional policyholders. Accordingly, respective contracts may be negotiated more independently by the parties. Further, the mandatory and semi-mandatory provisions of the ICA will also not apply to credit risk, bond and transport insurance contracts to the extent that professional or commercial risks (‘large risks’) are insured. Parliament is expected to start deliberating on the current draft for partial revision of the ICA in one of the upcoming sessions in 2018 and the final wording thus remains subject to change. Depending on the results of parliamentary debate, the partial revision may enter into force in 2019 or 2020.